Has the task of taking meeting notes fallen in your lap? There’s no need to start from scratch. 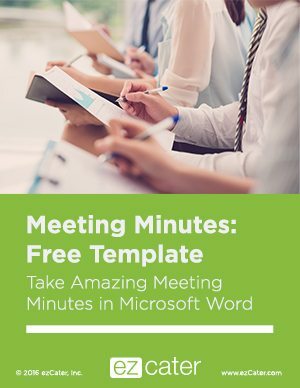 Use our free Microsoft Word template to make the process of taking meeting minutes quick and easy. Complete the form below to download the template. Use this template to quickly & easily take meeting minutes in Microsoft Word. Does Multitasking Actually Help You Get More Done?